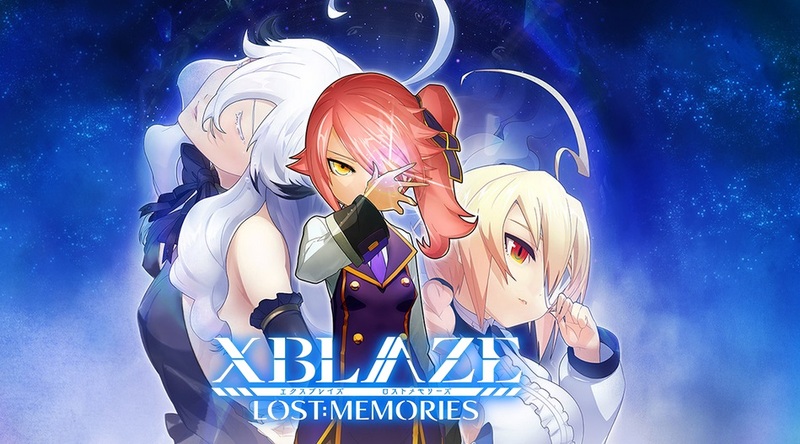 XBlaze Lost: Memories, the sequel to XBlaze Code: Embryo, which acts as a continuation and expands upon the first game with a different perspective, has been been released for both the PlayStation 3 and PlayStation Vita. The first game was a visual novel, while this one still pertains to the visual novel genre, it also acts as an adventure game as you explore the new plot lines along with meeting a new cast of characters. Our review of the game will be out soon so tune into that. Set within the BlazBlue universe, XBlaze Lost: Memories fuses dungeon exploration and visual novel elements to create a unique gaming experience unlike anything seen before! A direct sequel to XBlaze Code: Embryo, old friends and new faces aid your titanic quest to gather precious “Memory Fragments”. Delve into the secrets of the BlazBlue mythos with over 40+ hours of mind bending game play! Branching narratives and multiple endings ensure each player will be leading their own unique story. Make your choices carefully, as each decision changes the balance of fate and the path before you. The Best of Both Worlds – XBlaze Lost: Memories fuses dungeon crawler elements with visual novel gameplay to create a gaming experience unlike anything you’ve seen before! 8-bit retro fun! – Cute chibi-fied sprites are back! Roam around an alternate world and collect “Memory Fragments”, crystallized memories that tell the story of a mysterious unknown person! Diverging Stories – XBlaze Lost: Memories offers several routes and multiple endings so each player will be leading their own story! Unexpected twists and turns allow players hours of compelling gameplay.